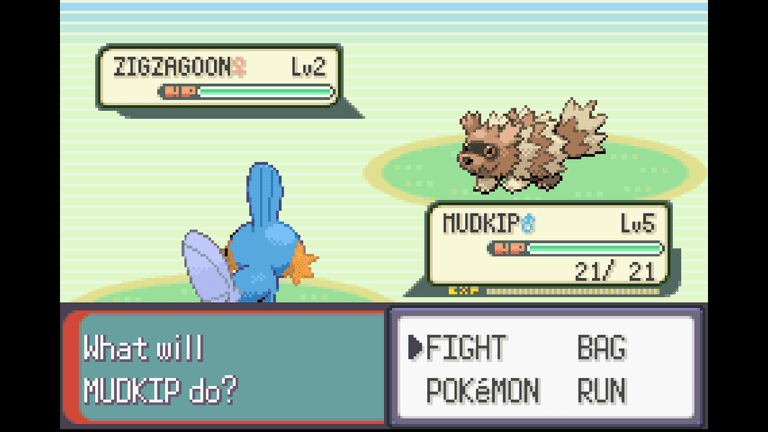 Pokémon Emerald for Game Boy Advance (GBA) is a remake of Pokémon Ruby and Sapphire featuring improved graphics, new locations, and more pokémon to collect. Whether you're playing on an original GBA device or an emulator, entering Gameshark and Action Replay cheat codes for Pokémon Emerald is a fairly simple process. There are also a few glitches you can exploit to your advantage. Although Pokémon Emerald is essentially the same game as Pokémon Ruby and Sapphire, the following cheats are exclusive to Emerald. Go to the Battle Tower PC. Put the two pokémon you wish to clone in Lanette’s PC. If you wish to duplicate an item, give it to one of those pokémon. Select Move Items at the inventory screen to give items to your pokémon. Exit the PC and save your game. Take out the pokémon you just stored. Talk to the woman behind the counter near the PC. Accept her challenge and pick two pokémon from your party including the ones you want to clone. When she asks you to save your game, select Yes. When you are asked again to save, turn off the GBA console, or close your emulator (do not save the game). Turning off the GBA during the save process can lead to permanent data loss. Turn on the console and load your save file. The pair of pokémon you chose for battle will be in your party as well as in the PC along with the items they were holding. Save your game in front of the woman on the first floor of Lillycove Department Store. Wait a day (in-game time). Talk to the woman at the Lottery Corner to draw a number. If you win, save your game. If you don't win, turn off your GBA, then turn it back on and try again until you win. Two pokémon, Zigzagoon or Linoone, will occasionally pick up items from battles. If you have them in your party, periodically check to see if they have anything. Increase your chances of finding items by carrying five or six of these pokémon. The Gameshark and Action Replay accessories for the GBA allow players to enter cheat codes and exploit in-game glitches. Players have discovered literally thousands of cheat codes for Pokémon Emerald. Gameshark and Action Replay cheat codes are not case sensitive, nor are spaces between numbers required. All codes listed are compatible with either accessory. Select File > Open and choose the Pokémon Emerald ROM. When the game starts, select Cheats > Cheat list from the VBA menu. Enter the desired codes. You can give them a description to make managing your cheats easier. Select OK twice to return to the game with cheats enabled. Open the My Boy emulator and load the Pokémon Emerald ROM. Tap the hamburger icon in the top-left corner of the screen to open the My Boy menu. Tap Cheat name and give your cheat a name. Tap Cheat code and enter the desired code. Tap OK to return to the game with cheats enabled. To remove a code's effect, go back into the cheat menu, select the code name, and choose Remove. The free version of the My Boy GBA emulator doesn't let you enter more than a single line of code at once, but you can still activate longer codes by entering them line-by-line as if they were separate cheats. Players have compiled pokémon nature charts explaining the benefits of each nature. Warp codes require the master code to be enabled. Enter a code and walk through any door to teleport to the desired location. Be sure to disable the code when you're done or else you'll keep looping back to the same spot.